Brian Michalenko - Mowbray & Son, Inc.
Brian Michalenko joined the Mowbray and Son, Inc team in February of 2018. Brian graduated from Minot State University in 1993 with a bachelor’s degree in Criminal Justice. Brian’s career path was working for a local grocery as Inventory Control, Purchasing, Operations Coordinator for Food Service of America, and Logistics Coordinator for Aggreko, all located in Minot, ND. 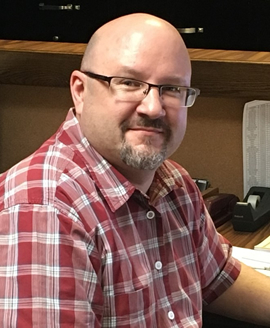 Brian’s years of experience in purchasing, inventory control, and logistics made him a perfect fit as our newest project procurement coordinator.